It’s Warrior Wednesday and today’s number is 9. Today I’m doing a brief profile on several of the world’s best female martial artists. Photo from the 2016 Canadian National Iaido Championships. Of course I had to start with my main art. 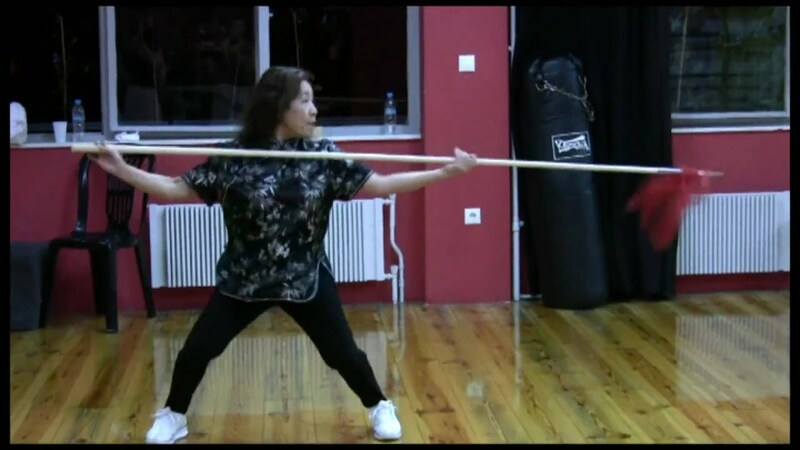 When talking about Iaido, it’s Atsumi Hatakenaka for me. She is an amazing woman to look up to. Not only is she skilled, but she once told me she hopes to bring peace to the world through Iaido. Hatakenaka Sensei is an eighth level black belt. She cross trains with hot yoga. Unfortunately, I couldn’t find a video of Hatakenaka Sensei. 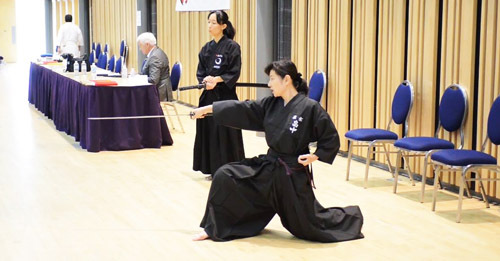 Pam Parker Sensei is one of the only westerners and the first female in the world to be awarded a Nanadan in Iaido, so I need to mention her. To be awarded a seventh level black belt in Iaido is rather rare for someone living outside of Japan. It is as much about character and manners as it is about skill. 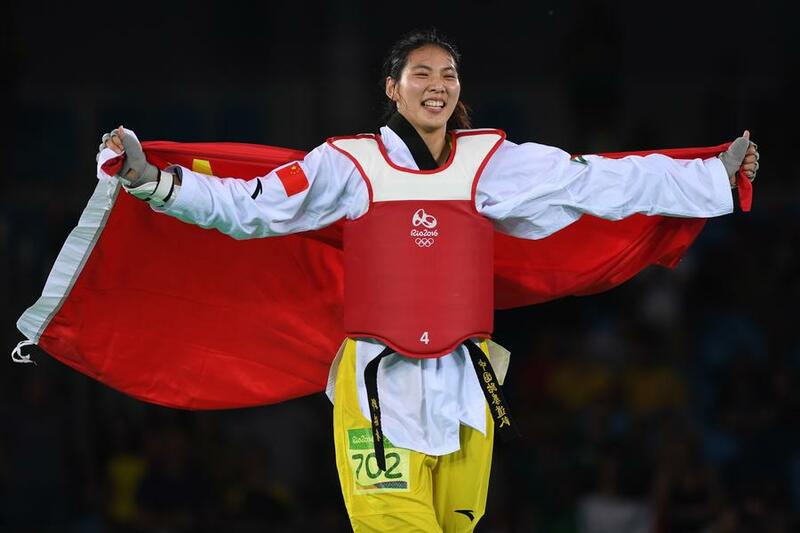 Zheng Shuyin won the Olympic gold medal in the heavyweight division in the 2016 Summer Olympics. China hadn’t won gold since 2004. Canadian Sarah Kaufman recently achieved the Invicta FC bantamweight title. Not only is she a persistent and skilled fighter, but Sarah is also well-educated. You can watch her fight against Miesha Tate here. Mizuho Matsumoto is the current women’s kendo champion. Watch World Champion Rika Usami as she performs a kata and you can guess why she’s the champion. The skill, focus, and fire she wields at just the right moments is breath-taking. With the next championships later this month, will Rika still be on top? Bum-Erdene Tuvshinjargal is an accomplished wrestler despite a restriction against going pro. She is an inspiring woman. More on Tuvshinjargal here. Suijin is the current champion of the Women’s Taolu. Here is her winning performance. 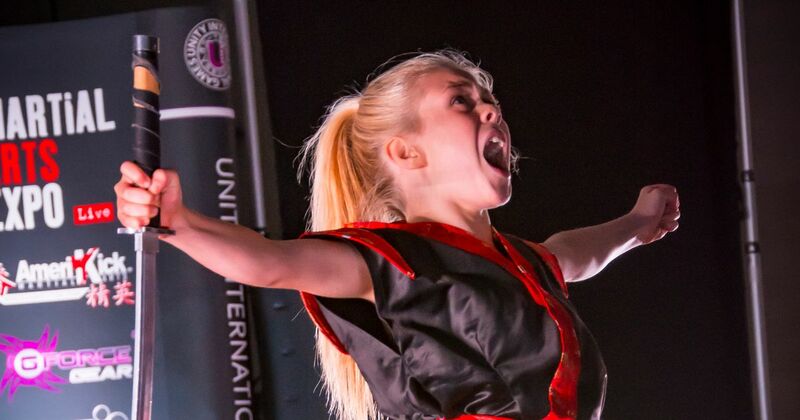 What list of fantastic female martial artists would be complete without Jesse-Jane McParland? You’ve probably heard of her. Her audition at Britain’s Got Talent went rather viral. She is a young woman who has won many championships. She is also an actress. Jesse practices a wide variety of martial arts and is said to have studied karate, taekwondo, and kung-fu. Here’s a more recent one than her audition. It comes in weapon-less and sword varieties. Below is the sword version. But Jesse isn’t just flashy. Here she is performing kumite (sparring). I would’ve liked to choose some less well known arts, such as Capoeira, but I could not find a female mestre of any level. Systema is another art I had difficulty finding out about. Women practice it, but it doesn’t seem to have a ranking system and the fighters don’t seem to be well-documented. If you are a woman in these arts, start documenting who the people are that you can look up to and keep practicing. There are many other arts such as judo, hapkido, BJJ, etc. that I couldn’t fit in the list of nine. It would be really something to know who are the key practitioners in some of the more rare arts too. This entry was posted in Martial Arts and tagged Courage, Discipline, Honour by Raeanne G. Roy. Bookmark the permalink.